Nakai is an assistant for Niizuma. He won a monthly award ten years ago, and has been determined to get serialized since. He is good with backgrounds and angles. Takurou Nakai was an assistant-for-Niizuma-turned manga artist. He won a monthly award ten years ago, and has been determined to get serialized since. He was the artist of Hideout Door, and worked with Aoki Yuriko. After Hideout Door is canceled, Nakai leaves because he is sick of himself and how he used manga for his own personal gain. He returns to manga after Nanamine requests for his assistance. 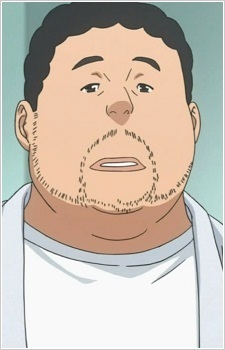 Nanamine's series was eventually canceled and Nakai becomes Hiramaru's assistant.